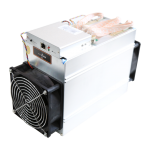 Bitmain, the mining hardware maker from China has recently launched its brand new Antminer X3 CryptoNight ASIC miner. The Chinese manufacturer claims that this new device is more powerful than other cryptocurrency miners sold in the market today. 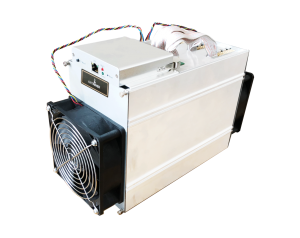 Bitmain claims that by using only 550 watts power, Antminer X3 can deliver 220KH/s hashrate for Cryptonight. 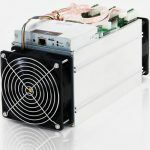 This Chinese mining hardware manufacturer also claims that this device can be used to mine many cryptocurrencies including Monero (XMR) based on its CryptoNight hashing algorithm. Bitmain also says that its latest cryptocurrency miner has 11 times greater power than the Baikal Giant-N Cryptonight ASIC miner, but its price is only two times higher. The manufacturer says that it is very conservative in indicating these properties. Bitmain stated that they expect the miner to provide higher efficiency and performance once they are good for shipment. Mining cryptpcurrencies still involves financial risks. They are usually related to the variations in the algorithm utilized in mining cryptocurrencies and the variations in their exchange rates. 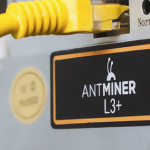 Buyers should still make their due diligence since the manufacture of Antminer X3 says that they are not accepting any refund requests for the purchases of this recent batch of miners. A significant cryptocurrency which utilizes the CryptoNight hash function is poised to modify its Po W algorithm. Based on its recent announcement, it intends to brick the many ASIC mining rigs that include X3. Bitmain is setting a limit of one miner per user for this present batch. This will ensure that there will be more buyers who will be able to purchase miners from this batch. The manufacturer also added that it will not ship orders from this batch to a certain address in Hong Kong. Interested buyers are requested to choose the right address for shipment prior to the submission of their orders. The reason is that it is not possible to change the indicated shipping address after the submission of the order. The cost of shipment was also recently updated by Bitmain’s logistic service provider. This made the cost of shipment for batches scheduled for shipment following April 2018 to be a little different from those that will be shipped prior to that month. Shipment of this batch will only start after the shipment of all B1 orders. But actual shipment will not be later than May 31. Buyers and customers are advised to find out and prepare for their country’s respective custom clearances so that they can avoid unexpected costs and shipment delays. An ATX PSU that has a minimum of PCIe connectors 10 six-pins. On each hashing board of this cryptocurrency miner are PCIe connectors with 3 six-pins. All of the three connectors have connections to the PSU so that its hashing board can function. In addition, the same hashing board should not be connected to more than a single PSU. 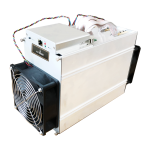 In order to power the Antminer X3, Bitmain recommends buyers to use the APW3++. The IO board of the Antminer X3 has an extra six-pin PCIe. To be able to receive power, this extra pin should be connected to the PSU. Users should ensure that the miner is powered after all the connectors of the 10 PCIes are plugged into the power supply. Here are the forms of payments accepted by Bitmain. For buyers who are using BCH form of payment, they should put the exact amount indicated in their orders. They should also complete the payment within the hour that they placed their orders. If one hour elapses and the order has not been paid, the order will not be honored. The payment may not be automatically detected by the system used by Bitmain. Payment in the form of BTC is not accepted by Bitmain. Buyers should upload the proof of the US Dollar bank transfer within three days. If there is no proof, the order will expire.